A new, high performance bench meter that provides accurate pH and ORP (oxidation-reduction potential) measurements and has a smart touch-screen interface is being introduced by Alliance Scale, Inc. of Canton, MA. 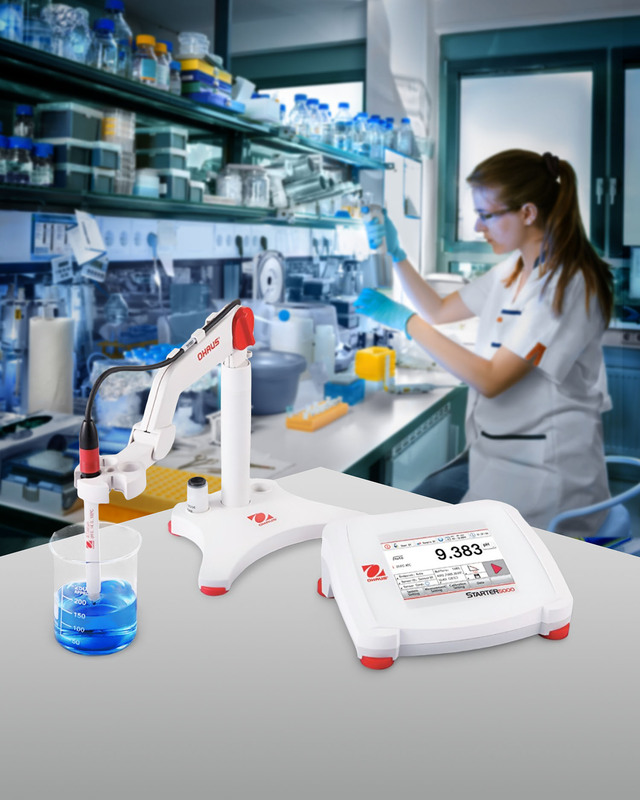 The Alliance-Ohaus® Starter® 5000 pH Bench Meter has an IP54 ABS plastic housing for protection from water and dust and an in-use cover for extra working protection, along with a moveable standalone electrode holder. Featuring a 4.3” H backlit LCD color touch-screen, similar to a smart phone, it permits one-touch toggling of pH and ORP measurement modes and has RS232 and USB ports for GLP/GMP output with a real-time clock. Standard features of the Alliance-Ohaus® Starter® 5000 pH Bench Meter include a 1,000 measurement memory, 10 sensors for calibration storage, eight predefined buffer groups, and three endpoint modes. Measurement range is -2.00 to 20.00 pH; -30° to 130°C; -2000 to +2000 mV with 0.001 pH; 0.01 mV; 0.1°C resolution. It operates on 9 vdc and includes an AC adapter. The Alliance-Ohaus® Starter® 5000 pH Bench Meter sells for $1,595.00.